PSM Publishers holds the ethics of publication as one of its core values and as such, adheres strictly to internationally accepted publication ethics. To ensure compliance, PSM Publishers employs the double-blinded peer-review process for all articles she reviews. The rationale for double-blinded peer review process is to validate the integrity and novelty of the research work. Peer review process adopted by the journal acts as filter and increases the quality of research submitted for publication. This process also help the authors to remove any errors or gaps in manuscript mistakenly overlooked and assists in making the research more applicable in real time. PSM Publishers adopts the following guidelines on publication ethics. Ethical Standards: PSM Publishers author(s) are required to hold fast to the moral benchmarks and behavior that stay compulsory in scientific/ academic publishing. At the time of submission of articles, authors need to express that their work has not been submitted somewhere else, examples (if any) & conflict of interest should be specified and written falsification must be entirely cross checked. For Animal/Human models, moral leeway duplicate should be submitted. Plagiarism: Plagiarism is duplicating the precise of a publishing information. PSM Publishers cross checks each submitted manuscript that is been submitted to any of its associate publishing journal. Any article that has incompletely/totally with plagiarized information will be dismissed promptly. 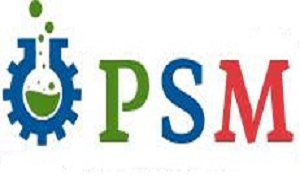 Conflict of Interest: PSM Publishers follows blind peer review process. The author(s) ought to hold obligation in giving conflicts any to stay away from further conflicts. Privacy Protection: Editor(s), Reviewer(s) should be deliberately taking care of the work of the author(s). It is morally not acknowledged to utilize/disperse the unpublished work. Human and Animal Rights: Clear proclamations and ethical clearance statements should be provided while submitting article if it requires. The work including animal models and human volunteers need to submit the essential proclamations. Consents/Instances: Author needs to specify consents and instances if any to keep away from further commitments. Clear proclamation with signature must be given by author while presenting his/her work. Civility & Misconduct Allegations: Editor(s), Reviewer(s), Author(s) and the Journal staff are relied upon to stick to the essential expert civility. Any verbal manhandle, level headed discussions and affront is exceptionally offended by PSM Publishers. Meeting Standards: Reviewers shall adhere to the criteria set by the journal in the online portal. Any comments on competing interests, duplication of publication, unethical practice or dubious act shall be conducted to the editor in the â€œconfidential comments to the Editorâ€ section in the online submission system.